We have reviewed Tenorshare ReiBoot for Mac software for Mac, the free version. We have used the software and so far this is the easiest and most user friendly software that I have ever come across. The software can solve a wide variety of technical faults of iOS devices and the best part is that you really can solve every problem in just one single tap. This not only sounds amazing but it works great. ReiBoot for Mac works fine with iOS 10/9.3.2/9.3/9.2/9.1/8/8/7 and all previous versions. Now let’s know what sort of problems can occur in your iOS device and what solution ReiBoot offers to these problems. 1. If your iPhone or iPod or other iOS device is having problem with iTunes, that is, your device cannot recognize iTunes, ReiBoot will come to your rescue. It can launch the iOS device into Recovery Mode and solve the issue. One of the best properties of this software is its ability to detect the problem and then suggest the best plausible solution. 2. It enables your iOS device user to enter or exit recovery mode for iOS update, downgrade, jailbreak the iOS with 1-click. 3. If your iPhone is stuck in recovery mode, white Apple Logo, endless boot loop, unresponsive screen etc, ReiBoot exits the device from Recovery Mode and revives your device back to life with out any data loss. This is the most convincing part of the software. 4. It force restarts an iPhone if it becomes unresponsive and errant. 5. Fix all kinds of iTunes errors when backing up or upgrading iOS Devices. Settings up and using the software is extremely easy. 1. First you need to download ReiBoot for Mac. 2. When you run the app, connect your iPhone or the device via USB cable which is compatible with the device. 3. A “Trust the computer” dialog box may pop up. If it does, tap on “Trust”. 4. Next, the software will automatically detect the problem with your iPhone or the device you have connected , highlight the Enter Recovery Mode or Exit Recovery Mode option (which ever is applicable). You have to click the highlighted option. 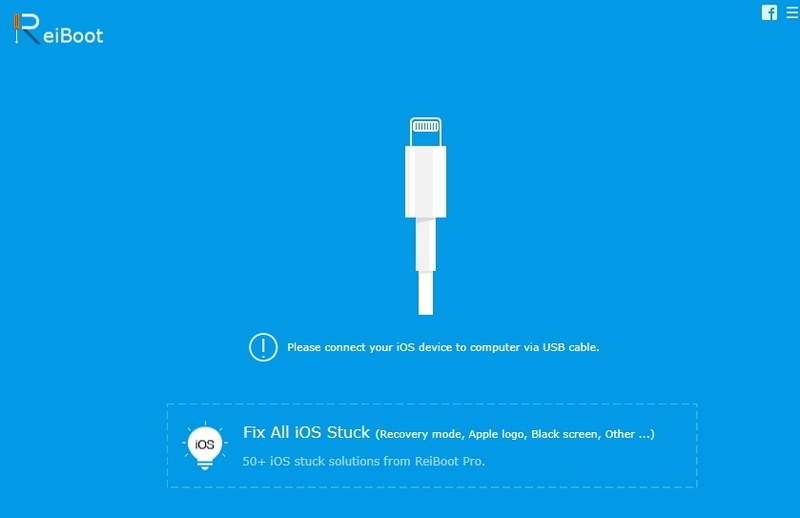 If you want to solve all sorts of iOS problem then tap on the “Fix All iOS Stuck” menu. That’s all from your part. You no more need to worry and all issues will be fixed by the software in a jiffy. 5. The process of recovery and restore will take about a minute to complete and there you go! 1. The software is not that bulky, easy to download and easy to use. 3. Can auto detect issues and suggest fixes so that users don’t need to bother. 4. Just one click nd the fix is done. This is definitely the best part! Users may not always be technically sound. Many software applications provide similar services but users need to follow certain instructions. But here, there is practically no long procedure that you need to follow. It would be better if the software provides a brief user guidance in the app dialog box. A complete user manual is there in Tenorshare’s website, but a little brief in the application can be a better service.